The Chicco KidFit still offers buyers the best combination of safety, ease of use, and comfort to take the top spot among the high-back booster seats we researched. The Britax Frontier ClickTight remains the best combination booster seat, while the Evenflo Amp keeps its spot as the best backless booster. The Chicco KidFit excels in all the important areas for a high-back booster seat. 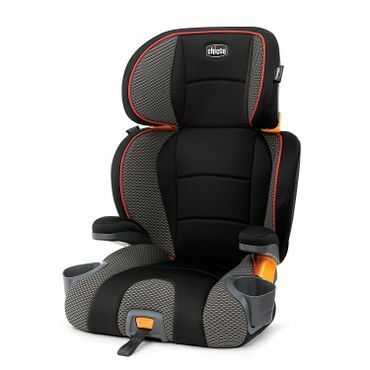 It has impressive side-impact protection, LATCH connectors that keep the seat from flying around the car when it's not belted in, easy-to-use belt guides, and the ability to convert to a backless booster seat for bigger kids. Parents particularly like the flexible rubber cup holders that can be folded inward so that they don't hog space in a cramped car. The Graco Highback TurboBooster is proof that a quality booster seat doesn't have to break the bank. It gets top marks for proper belt placement, and the open-loop belt guides make it easy for most kids to buckle themselves independently. A narrow base means the seat won't take as much room in cramped cars, but it can also convert into a backless booster seat to save even more space. Combination booster seats tend to offer a bit more bang for the buck because they include a five-point harness that keeps toddlers safe, but can be removed when your child is old enough for a belt-positioning booster. Among combination boosters, the Britax Frontier ClickTight is as good as it gets. It's one of the safest seats around and, more importantly, is simple to install, adjust and to switch to booster mode. Combination boosters that come with a removable five-point harness are often heavy, bulky and expensive, but that's not the case with the Evenflo Maestro. The seat is easy to install in harness mode, and an auto-adjust belt path helps make the seat easy to use in booster mode. The seat also earns top marks for proper belt placement. A smaller footprint than many comparable seats makes the Maestro ideal for compact cars. 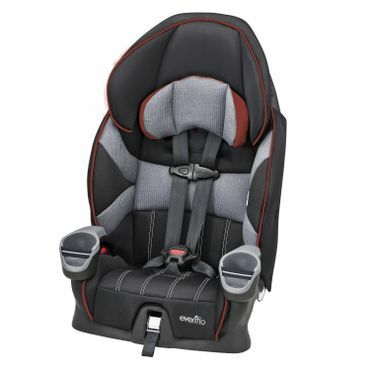 The Evenflo Amp Belt-Positioning Booster Car Seat manages to tick all the major boxes for backless boosters. At just 4 pounds, it's compact and lightweight enough for travel or carpools, and it's also easy for kids to use independently. Best of all, it safely puts a child's seat belt where it needs to be. Two expandable cup holders accommodate bigger water bottles. An easy-to-remove, machine-washable cover also adds to this simple seat's appeal. The inflatable BubbleBum booster seat might be the ultimate road warrior. Weighing just over a pound when fully inflated, the seat also rolls up into a small stretchy bag that can be stashed out of the way between trips. In use, the seat keeps a low profile and takes up minimal space in cramped car seats or crowded carpools. But BubbleBum isn't just convenient, it's very safe, earning top marks for proper seat belt placement. Traditional booster have high backs and use seat belt positioning guides so that the car's seat belt fits properly -- over a child's thighs and shoulders, instead of his more vulnerable belly and neck. Some can convert to backless booster seats. Booster seats with a high back offer additional head, side and back support over backless booster seats, but are less versatile than combination booster seats. Combination boosters, sometimes called toddler booster seats, include a five-point harness that keep younger children safe until they're ready to use the vehicle safety belt, at which point the harness can be removed. For that reason, combination booster seats often have a longer usable life than belt-positioning boosters. They're also typically heavier, bulkier and more expensive. And don't be in too big of a hurry to convert the seat -- it's safest to keep children strapped into a five-point harness as long as possible, past the old recommendation of 4 years and 40 pounds. Experts with Car Seats for the Littles say most kids are 5 at the youngest before they're mature enough to sit properly in a belt-positioning booster. Backless booster seats are safe alternatives for a child who is able to sit in them properly, according to child passenger safety experts. Backless boosters use a seat belt positioning system for a safe fit, and are smaller, lighter and more portable than high-back seats. This makes them ideal for families who travel, kids who carpool or vehicles where space is tight, including cars that may need to fit three child safety seats in one row. For older children, backless boosters are more inconspicuous and potentially less embarrassing to use than high-back seats. According to editors at Consumer Reports, backless boosters aren't as likely as traditional high-back boosters to position a vehicle's seat belt in line with a child's shoulders and keep it there, so be sure the backless booster seat you choose is a proper fit for your child. Are you sure a booster seat is appropriate? Most experts recommend that a child stays in a rear-facing infant seat until they are 2 years old or they have outgrown the rear-facing height/weight limits for their seat. Convertible car seats, which can be used rear-facing for infants and then forward-facing for toddlers, may accommodate kids until they're about 65 or 70 pounds if they don't outgrow them by height first. If your child doesn't quite meet the guidelines for a booster seat, we have recommendations for both infant and convertible seats in our car seats report. "The Best Booster Car Seat 2018"
There are several quality expert resources on booster seats involving hands-on testing. They include recommendations and reviews from CarseatBlog and Car Seats for the Littles, sites run by certified child passenger safety technicians. We also relied on the thorough hands-on reviews from BabyGearLab. Ratings from the Insurance Institute for Highway Safety (IIHS) and Consumer Reports are helpful in evaluating safety, while National Highway Traffic Safety Administration (NHTSA) tests focus on ease of use. 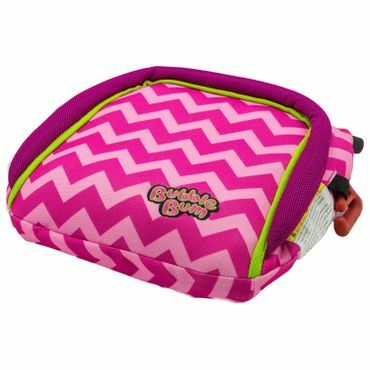 Baby Bargains and BabyCenter help round out our research with highly comparative rankings and thorough reviews, while parent feedback from Amazon, Target and Walmart provides real-world perspective on each booster seat. We considered safety, ease of use, and lifestyle considerations in evaluating these resources to help you find the best booster seat for your child. Chicco already makes some of the most well-regarded infant and convertible car seats on the market, and reviewers say its booster, the Chicco KidFit (Est. $100), is a great addition to the line. 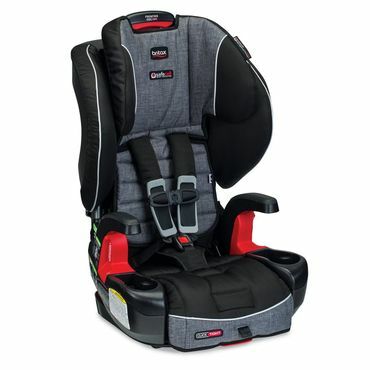 This high-back booster can convert to a backless booster and has extensive side-impact protection that adjusts as a child grows, energy-absorbing foam, open-loop belt guides and premium LATCH connectors that keep the seat from becoming a projectile when a child isn't buckled in. The IIHS gives it a "best bet" rating for proper belt fit, and independent testers give it good marks for belt fit, ease of use and crash tests. There are few complaints about installing the Chicco KidFit. Kecia Healy of CarseatBlog says the LATCH connectors are easy to use and the shoulder belt guide should work with most seating positions and vehicles. 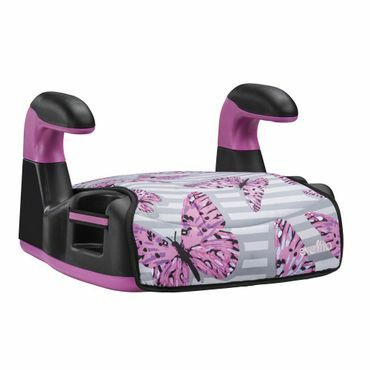 She does note, however, that a car's headrest may need to be removed if it pushes the KidFit headrest forward – a potential compatibility problem in cars that don't have removable headrests. NHTSA gives it four stars out of five for ease of use, citing only needed assembly and labeling that doesn't show the high-back-to-backless conversion. The Chicco KidFit has two integrated cupholders, but since they're made of flexible rubber, they can be pushed inward if parents need the space – a particular concern when car seats are installed side by side. Most kids should be able to buckle themselves in independently, reviewers say, but BabyGearLab says the base is still somewhat wide. The seat cover is removable but the process is tricky, according to CarseatBlog testers. If that's a concern, a convenient zip-off cover is available by upgrading to the KidFit Zip (Est. $130). Chicco recommends the KidFit for children from 30 to 100 pounds in high-back mode and 40 to 110 pounds in backless mode. It can be used for eight years before expiration. If you're looking for a budget-friendly belt-positioning booster seat without a harness, reviewers say it's hard to do better than the Graco Highback TurboBooster (Est. $45), which also converts to a backless booster. It has energy-absorbing foam and open-loop belt guides for more accurate belt placement, but lacks the deeper side-impact protection that some competing models have, experts note. The pricier Graco Highback TurboBooster LX (Est. $70) adds LATCH connectors to keep the seat from becoming a projectile in a crash. Both models have received a "best bet" rating for proper belt fit from the IIHS, and they get good marks from independent testers for belt fit, ease of use and crash tests. Reviewers say the TurboBooster is easy to install, though a few parents complain that the seat belt slips out of or gets stuck in the belt guide. The headrest is easy to adjust, they say. Experts caution that the seat requires assembly with small parts that are easily lost. While the seat is relatively lightweight, the back detaches from the seat too readily when it's being carried, reviewers say. NHTSA gives the seat three stars overall for ease of use, with testers citing needed assembly and incomplete or unclear labeling. The TurboBooster has two retractable cup holders and adjustable armrests. Reviewers say the narrow seat base makes it a good pick for small vehicles or those with multiple car seats, but it might not be quite as comfy for larger kids. The seat cover is machine washable, and parents say it is easy to remove. Graco recommends the TurboBooster in high-back mode for children ages 4 and up from 30 to 100 pounds and 38 to 57 inches; in backless mode, from 40 to 100 pounds and 43 to 57 inches. It can be used for 10 years before expiration. While the TurboBooster is a solid budget pick for older children, it lacks a harness that can accommodate younger ones. If you prefer a combination booster seat that also has a harness that can keep even taller kids more secure, the Britax Frontier ClickTight (Est. $275) is well worth its steep price, reviewers say. It has a five-point harness, beefy side-impact protection, a chest clip, seat tether, chest pads, energy-absorbing foam and base, and LATCH connectors. The IIHS gives it a "best bet" rating for proper belt fit in booster mode, though independent experts say they did have an issue with the belt guide keeping the seat belt from fully retracting. Note that while some Britax ClickTight seats for younger children have been affected by recent recalls, the Frontier is not among them. Reviewers say the Frontier ClickTight, which comes fully assembled, is extremely easy to use because of its namesake seat-belt installation system. Darren Qunell with CarseatBlog says ClickTight makes the seat a cinch to install in just a few minutes' time: You simply open an easily accessible panel behind the seat cover, route the seat belt through specified slots, remove any belt slack, and close the panel. The seat also features a front-adjust, no-rethread harness, though a few parents say it can be difficult to tighten, and the adjuster can be hard to find at first. Switching to booster mode is easy because the seat does not have to be uninstalled for harness removal. NHTSA gives the seat four stars for ease of use. The Frontier ClickTight converts from a harnessed seat to a high-back belt-positioning booster. It has armrests and two integrated cup holders. But this is not a seat that travels well or saves space in smaller cars, reviewers note: It's bulky and heavy at 25 pounds; it's also tall and wide. However, this does make it a good pick for big kids. Some reviewers say the fabric on the bottom seat cover can easily become unclipped from the base, while others complain the seat is too hard or fabric not plush enough, especially at this price point. The seat cover is machine washable and available in at least nine colors and patterns. Harness mode can be used for children ages 2 and up who are 25 to 90 pounds and 30 to 58 inches; booster mode can be used for children 40 to 120 pounds and 45 to 62 inches. The seat has a nine-year lifespan before expiration. If you want a harness option at a budget price, the Evenflo Maestro (Est. 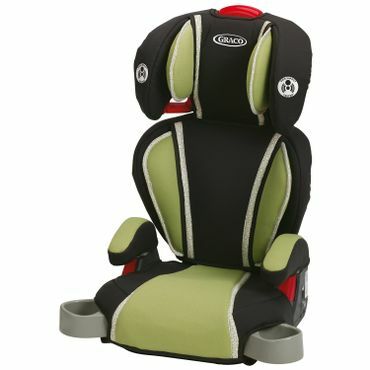 $80) is a solid pick for a combination booster seat that doesn't cost a premium, reviewers say. It has a five-point harness, side-impact protection, a chest clip, seat tether, chest pads, energy-absorbing foam, and LATCH connectors. The IIHS gives it a "best bet" rating for proper belt fit in booster mode. Independent experts give it high marks for harnessed protection but say shoulder belt fit was poor in their tests, but Evenflo now allows a new over-the-shoulder belt path to alleviate the issue. Note that a safety recall regarding stiff buckles affects some Maestros manufactured as late as October 2013. Experts with Car Seats for the Littles say "installation is straightforward" in harness mode whether parents use the safety belt or LATCH. In booster mode, reviewers say belt guides are easy to use; an auto-adjust belt path helps keep the safety belt where it should be. Reviewers note that the LATCH anchors are older hook-style anchors that can be tricky to release, and others wish they didn't have to uninstall the seat to adjust the harness height from the back. The harness must be removed completely to convert the seat to a booster. NHTSA gives the seat three stars for ease of use overall in both harness and booster mode, noting that labeling could be clearer and changing between the two modes can be tricky. The Maestro has armrests with two integrated cup holders and a nonadjustable headrest. It gets mixed reviews for comfort -- some parents say it's well padded, while others say it's too firm for their children. It won't hog as much space in your car as the bigger, pricier Britax Frontier ClickTight, but the trade-off is a shorter lifespan. Evenflo recommends harness mode for children ages 2 and up who are 22 to 50 pounds and 28 to 50 inches; booster mode can be used for children ages 4 and up from 40 to 110 pounds and 43.3 inches to 57 inches. The seat has a six-year lifespan before expiration. Good safety ratings and features. High height and weight limits. An easy-to-use harness or belt guide.